What are the advantages of equitron-pro? weight, it can be used anytime anywhere. equitron-pro is the new dimension of drug-free and pain-free therapy with no side effects! Simplified, equitron-pro is a very strong generator which generates magnetic pulses of highest intensity. A capacitor is charged by a power supply unit on an adjustable voltage. It is discharged through the treatment loop in an LC resonant circuit by closing a patented switch between the capacitor and the coil. The current pulse induced a magnetic field in the coil. The oscillation decays in a damped oscillation until the capacitor is discharged. The total discharge time takes about 110 microseconds. With the treatment loop, which is placed on the to be treated parts of the body, short but extremely powerful energy fields with up to 120 million watts will be released into the body and up to 20 cm deep induced. Contactless, so that the treatment is also possible to open wounds or for particularly sensitive horses. The intensity of the energy pulses can be dosed optimally for each patient. So the horse is used to the therapy. The quiet ticking pulse noises of the device are accepted by the animals within minutes. Since the treatment with reduced wattage is made below the pain threshold, it is completely painless. Therefore, a prior sedation is not necessary. Effect and Welfare are shown usually after only few minutes by the visible relaxation of the animals. The painless application is – for example, compared to injections – particularly gentle on the animal. After therapy unit there are no swellings or bruisings. Since no side effects occur, equitron can be combined in consultation with a veterinarian with other alternative or conservative therapies. In horse show sport, the non-drug radiofrequency therapy has proven to be a drug-free alternative to other methods of treatment. 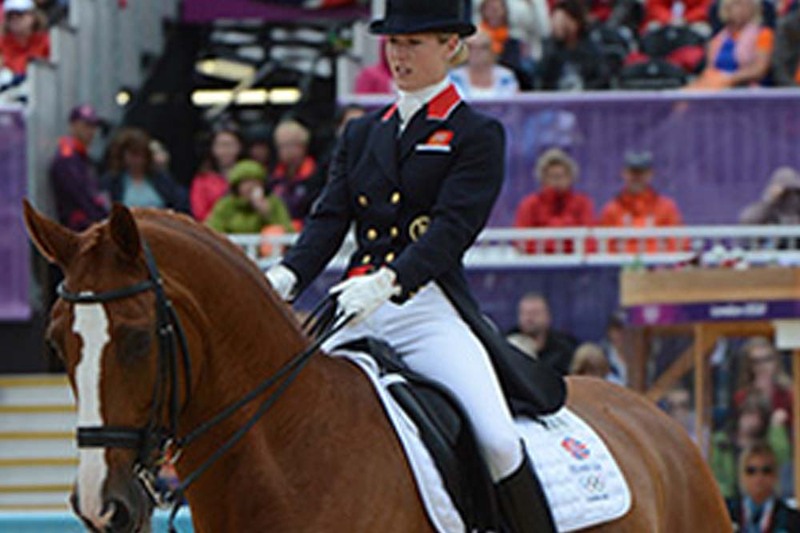 The equestrian riders-elite trust equitron-pro! Auf dem Gebiet der Pferdemedizin bieten wir Ihnen eine weitreichende, moderne und kompetente Betreuung Ihres Pferdes. Durch umfangreiche, regelmäßige Fortbildungen ist die ständige Weiterbildung und die Behandlung unserer Patienten nach den neuesten wissenschaftlichen Erkenntnissen sichergestellt. Mit meiner mobilen Pferdepraxis komme ich im Raum Essen, Mülheim, Duisburg, Ratingen, Düsseldorf, Mettmann, Wülfrath, Velbert…(siehe Karte) zum Pferd an den Stall – schnell und unkompliziert. Mein Angebot umfasst ganzheitliche Tiermedizin, d.h. fundierte Schulmedizin ergänzt mit sanften alternativen Behandlungsmethoden zum Wohle des Pferdes. Zu meiner Behandlung gehört die regelmäßige Vorsorge und Kontrolle, wie Impfungen, Wurmkuren, Zahnkontrolle etc., die individuelle Beratung und Therapie von akuten und chronischen Erkrankungen, wie Kolik, Husten, Hufrehe etc und die Behandlung von Verletzungen, Lahmheiten etc. Neben meiner langjährigen Erfahrung als Tierärztin für Pferde, habe ich alternative Behandlungsmethoden erlernt. Ich bin speziell für die Behandlung von Pferden ausgebildet in Chiropraktik und Akupunktur, als Teil der Traditionellen Chinesischen Veterinärmedizin (TCVM). Zur sanften Heilbehandlung und zur Gesunderhaltung der Pferde verwende ich pflanzliche Medizin, homöopathische Arzneien und führe Eigenblutbehandlung zur Immunstimulanz durch. Zur Gesunderhaltung der Pferde hat sich eine sinnvolle Kombination von alternativen Behandlungsmethoden und Schulmedizin bewährt. Behandlung Ihres Pferdes zweimal täglich mit rPMS, in Abstimmung mit unserer Tierärztin Dr. med. vet. Melanie Prant oder Ihrem behandelnden Tierarzt. Ihr Pferd wird zweimal täglich bewegt – zur Auswahl stehen: Im-Schritt-Führen bzw. Reiten, Laufband, Schrittmaschine und beginnende Aufbauarbeit. Stefan Rantner erlernte das Gewerbe der Sportpferdetherapie bei Michael Baxter einem der führenden Sportpferdetherapeuten im internationalen Turnierreitsport. Staatlich geprüfter Reitlehrer, 1997 Tiroler Meister im Springreiten, Pferdeausbildung und Turniererfolge bis Klasse S.
In enger Zusammenarbeit und Kooperation mit Herrn Dr. Hans Joachim Erdmann haben wir unser Rehabilitationskonzept erarbeitet. Unser Ziel ist es, die wichtige Phase der Rekonvaleszenz nach Krankheiten, Operationen, Behandlungen oder Verletzungen mit unserem umfangreichen Angebot an Therapiemaßnahmen professionell zu begleiten, um eine optimale Heilung und schnelle Wiederherstellung zu ermöglichen. In Zusammenarbeit mit dem behandelnden Tierarzt erstellen wir einen, individuell auf Ihr Pferd abgestimmten, Therapieplan. Wir koordinieren den interdisziplinären Ablauf mit den zuständigen Tierärzten und arbeiten nach ihren Vorgaben, geben transparent alle Informationen über den Stand des Therapieverlaufes an Sie weiter. Jeder Pferdebesitzer hatte schon einmal ein verletztes Pferd, das er in einem langwierigen Prozess, neben Berufsleben und stressigem Alltag, wieder aufbauen musste. Diese Zeit birgt viele Gefahren (z.B. : nach langen Trainingspausen und Boxenruhe) und überfordert den Besitzer oftmals. Ebenso steht nicht permanent ein Tierarzt bzw. Therapeut zur Verfügung, der den Genesungsverlauf im Auge behalten und mit Rat und Tat zur Seite stehen kann. So kann es den Heilungsprozess stark beeinträchtigen und verlangsamen. Deshalb haben wir unser Zentrum eröffnet, um genau diese kritische Phase für Sie und Ihr Pferd, sorgenfrei und höchst professionell zu managen und mit unseren modernsten Rehabilitationskonzepten und Therapiegeräten optimal und in wesentlich kürzerer Zeit die Gesundheit Ihres Pferdes wieder herzustellen. Behandlung Ihres Pferdes zweimal täglich mit rPMS, in Abstimmung mit unseren Tierärzten oder Ihrem behandelnden Tierarzt. 4 x Fütterung täglich, Futtermittel nach Wahl und Absprache, Zusatzfutter- und Medikamentenvergabe nach Wahl und Abrache, Ausmisten, Putzen, Führen, Weidegang, in Füranlage bringen, Pferde eindecken, Gamaschen, Bandagen, Wundversorung, Verbände, Wurmkuhr, Betreuung bei allfälligen Tierarztkonsultationen, Organisation Pferdephysiotherapie/Osteopathie/Chiropraktiker/Akupunktur, Hufbeschlag, Pferdetransport allgemein, Pferdetransport Pferdeklinik etc. Auf Wunsch füttern wir auch Ihrem Pferd mehrmals täglich frisch gesteamtes Heu aus unserem Heusteamer. Unser Team ist stets bemüht die beste Betreuung und Pflege den uns anvertrauten Pferden zu geben. Behandlung Ihres Pferdes, bei Ihnen im Stall. Nach Absprache bei Ihnen am Stall oder stationär in Abstimmung mit Ihrem Tierazt. Individuelle Pferdeunterbringung bei uns ist möglich. Tierarztpraxis auf der Anlage. Behandlung auch im grenznahen Deutschland (bis Raum Stuttgart, Bodensee-Raum, Basel-Lörrach). Mobile Behandlung direkt vor Ort. You can relay anytime on the Functionality of equitron-pro. valid and are entitled for a replacement device for the time of the repair. equitron-pro is robust designed that no maintenance is necessary. 12 month, so your equitron-pro can reach its maximum lifetime. equitron-pro can reach its maximum lifetime. “He is a man.” – “He” is the best jumper in the world (2006): “The Sixth Sense”, affectionately called “Sense”. . The man behind this declaration of love: Thomas Fruhmann, known for decades in international show jumping and successfully, for example, as an overall winner of the Riders Tour 2006 – together with “The Sixth Sense”. The meteoric rise of thunderous Westfalen gelding seemed unstoppable since 2004 onwards. 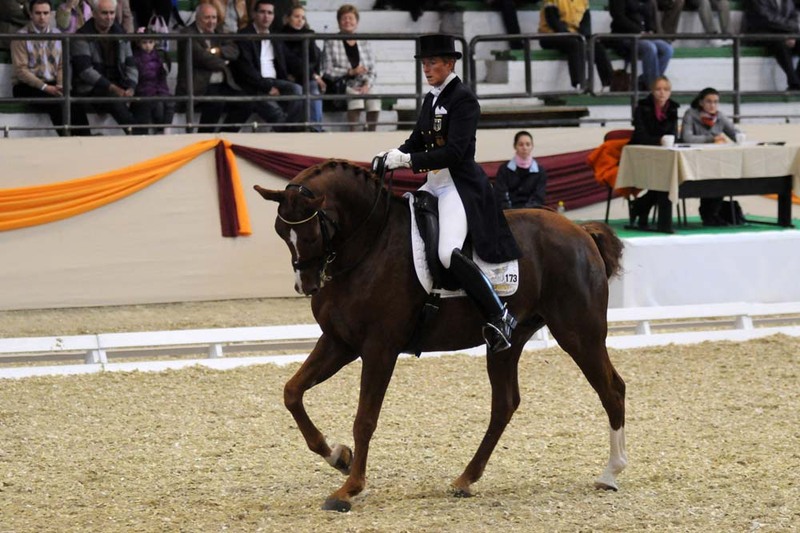 By the spring of 2010: suspensory ligament injury, for many sport horses, the inevitable career off. Because the poor circulation of the tapes delays the healing process, because the supply of nutrients and oxygen is limited. In spring 2011, then finally the breakthrough. 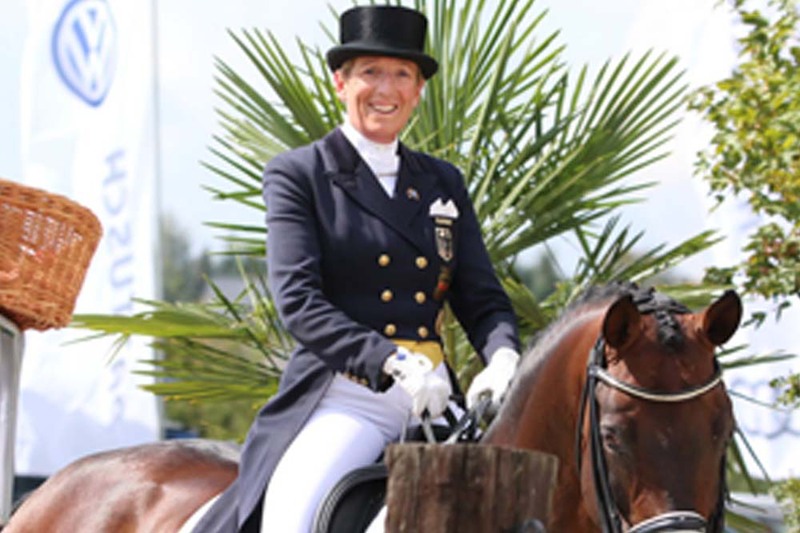 The Austrian former professional showjumper Karin Reichl, shareholder of the company Healthfactories, Thomas Early man drew attention to the rehabilitation facility by the equestrian sport relatively unknown HECT therapy. Granted, prior to treatment were both Thomas Fruhmann and “The Sixth Sense” the rhythmic ticking blue treatment loop skeptical. However, while the therapy unit, the world-class horse relaxed visibly. The contact and painless treatment came to the highly sensitive nature of the world-class horse (quote Thomas Frühmann: “At home, he is like a three year old.”) Very accommodating. Over a period of three months Sense was treated twice a week. The regeneration process of the suspensory was regularly monitored under veterinary supervision by ultrasound. The rehabilitation Sensation – back on track! The rehabilitations Sensation – back on track! In April 2011, Thomas Early man could start training with “The Sixth Sense” again. On 8 May 2011 the first competition after nearly a year of forced break, the brilliant comeback: Sensational victory in the Gold Tour of CSI2 * -Springturniers in Linz-Ebelsberg. The trade press was jubilant: “Back on track! – They’re back! – Sensational victory “And Thomas Frühmann? “Sense is simply sensational, a horse over! The character, the quality, the skill! But most importantly, that he is fit again. “To this top condition is to obtain even as long as possible despite athletic performances” The Sixth Sense “treated between tournament appearances regularly with equitron-pro. In the saddle of his horse, who lives in Germany Irish show jumper Cameron Hanley had overcome the most difficult obstacles. Multiple Nations Cup rider, 4th in the individual competition of the European Championships in 2009, Irish show jumper of the year 2009. 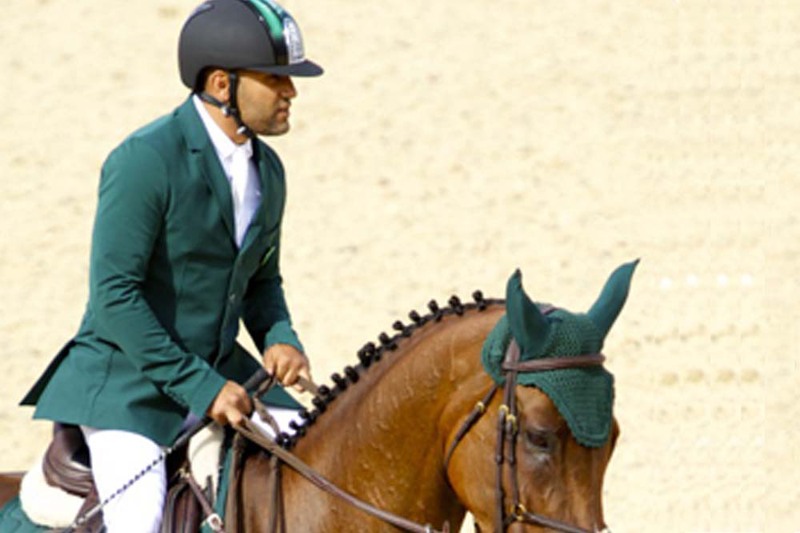 An important company on the international equestrian heaven – what should stop his career now? Answer: The jumping. However, not on horseback, but on foot. A harmless jump over an obstacle while playing with his children buried in June 2011 from one day to the other all the future plans of Cameron Hanley. The right knee gave way – then the affected patella sat 10 cm higher than before. Diagnosis patella tendon rupture was serious, but not hopeless. A routine case – but with Cameron Hanley but there were complications. So serious that the surgeon him no hope of returning to the saddle – not only his job, but his lifelong passion – could make. Hanley’s ordeal consisted of a total of 4 months of hospitalization and was paved with 17 operations. After the first operation developed in the knee a joint inflammation. In consequence interventions parts of the injured tendon and knee membrane had to be removed. Finally, the body’s own tendon tissue was transplanted into the lower part of the knee. Seven weeks of hope and fear followed – then the setback. Rejection reactions of the body forced the removal of the transplanted tissue in November 2011. The threat of stiffening the knee required a recent transplant. This time, parts of the calf muscles were transferred from Hanley’s right leg as donor tissue and tendon replacement in the knee. In the background of health tragedy played in Hanley personal dramas from: There was just not the uncertain future, as was the sale of its former top horse, Southwind VDL (went to the Canadian Tiffany Foster) and SIEC Livello (sale to Sweden) by the sponsors. If not even believed in his comeback, as he should be motivated in spite of pain itself? Regular physiotherapy had shown only moderate success. The mobility of the knee continued to be severely restricted. Meantime his brother Carl Hanley, also a successful show jumper and owner of a training and sales center for horses near Osnabrück / Germany, discovered the HECT therapy for his horses. “What wounded horse tendons does well, would also help my knee – after the high-frequency therapy device comes from human therapy” combined Cameron Hanley. Thus he alternated nine months with Carl Hanley’s horses on HECT therapy unit of his brother. Gradually, the mobility of his knee rose again. Since the beginning of 2013 Cameron Hanley has a new sponsor, in February 2013 it starts again at tournaments. “His” Wallach Antello Z – three years ago discovered together with his brother Carl and sold to Michael Whitaker – switched back to the stable (and the property) of Cameron Hanley. On 20 May 2013 he made his rider the best present – together they won the third stage of the Riders Tour, the Grand Prix of Wiesbaden. For Thomas Frühmann was clear that the rehabilitation would require, above all, a lot of patience in addition to a controlled exercise program: “We want to give him all the time, so he is fit again.” However, the time does not heal all wounds always. The violation of the exception horse proved to be extremely stubborn, even though he was treated according to the rules of medical art.